Good news from a prairie in Iowa. 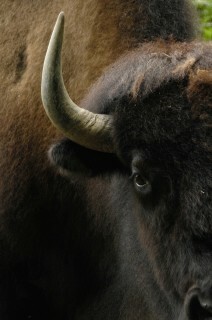 The bison famous for surviving a lightning strike (aptly named “Sparky”) has a girlfriend. The strike in 2013 left Sparky with a limp causing him to move more slowly than his family group. 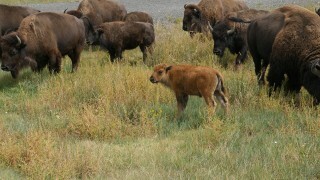 He stayed near the other bison, but not really with them. Then, in the summer of 2017, sparks seemed to fly for Sparky. 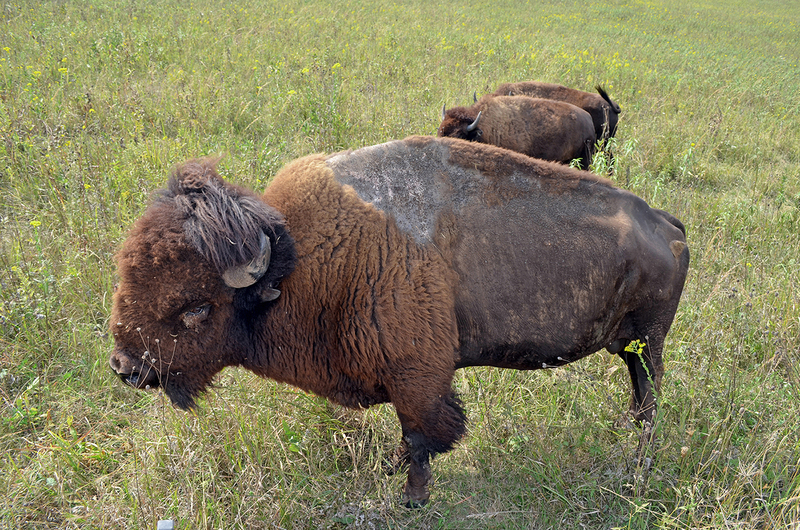 US Fish and Wildlife reports that biologists at the Neal Smith Wildlife Refuge have seen Sparky regularly hanging out with the same female bison. She stays back with him and saunters at his pace. Prior to the strike, Sparky fathered three calves. Yearly genetic testing has shown that Sparky has not fathered any calves since then, but hey, there could be a spark of hope. See a video of Sparky grazing here. EDITOR’S NOTE: This Saturday, November 4, we celebrate the fifth annual National Bison Day, as officially designated by the US Senate. 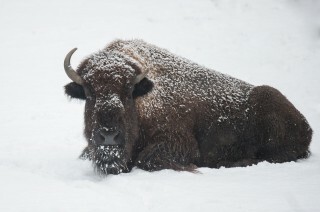 National Bison Day has become an annual celebration of the ecological, cultural, historical, and economic contribution of the US national mammal, the American bison. Thank you, Christine. We will continue to check for updates on Sparky with US Fish and Wildlife. Stay tuned!